Lessons on sharing tips, secrets, and diciplines for learning how to tap into our innate musical senses and applying them to an instrument, and to go deeper into our inherent ability to improvise, and free ourselves from overthinking. Classes available from beginner to advanced. Everyone can learn, and interactive inspiration will be the focus. 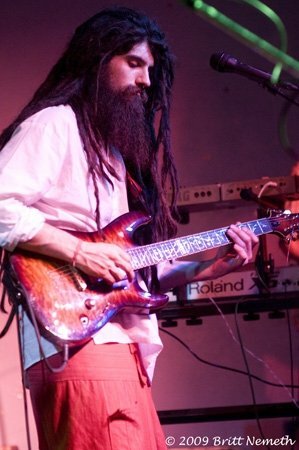 With influences in jazz, rock, blues, funk, and world/tribal music, I blend music theory and intuitive experience together to teach all levels. Guitar and Bass Lessons focus on finger exercises, chords, scales, modes, soloing, and the art of improvisation. Didgeridoo lessons focus on circular breathing and intonation, breath control, and clarity in tone. Drum lessons focus on rhythm, polyrhythms, soloing, and feeling the rhythm internally. Exercises and homework will accompany all lessons.